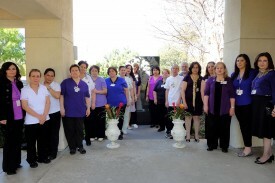 Ararat Home planned several commemorative events on the Mission Hills campus in March and April marking the 100th anniversary of the Armenian Genocide. 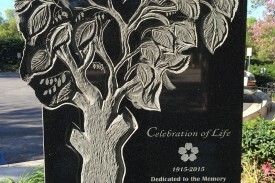 On Thursday, March 12, clergy from the Western Diocese and Prelacy of the Armenian Apostolic Church, the Armenian Catholic Eparchy and the Armenian Evangelical Union performed a special requiem service in Sheen Memorial Chapel. 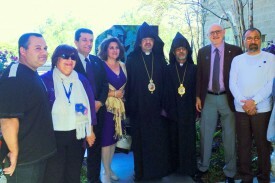 After a prayer was said in front of the relics of Armenian martyrs that are held in the chapel, clergy and guests proceeded outside for the unveiling and blessing of a new monument. 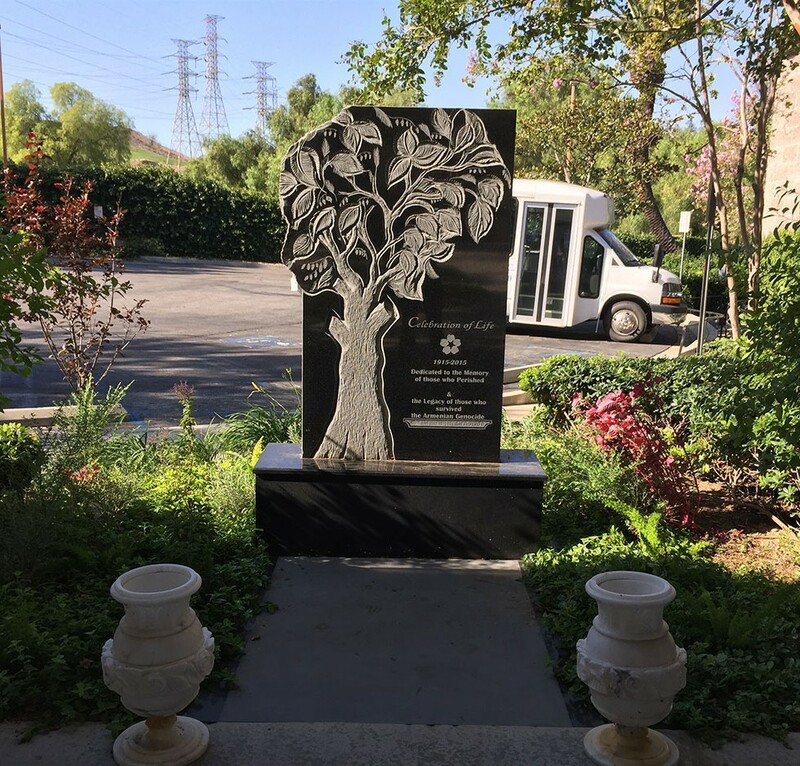 Dedicated to the memory of those who perished and the legacy of those who survived the Armenian genocide, the monument depicts a mulberry tree signifying life, as many children escaped death during the massacres by hiding under the leaves of mulberry trees. 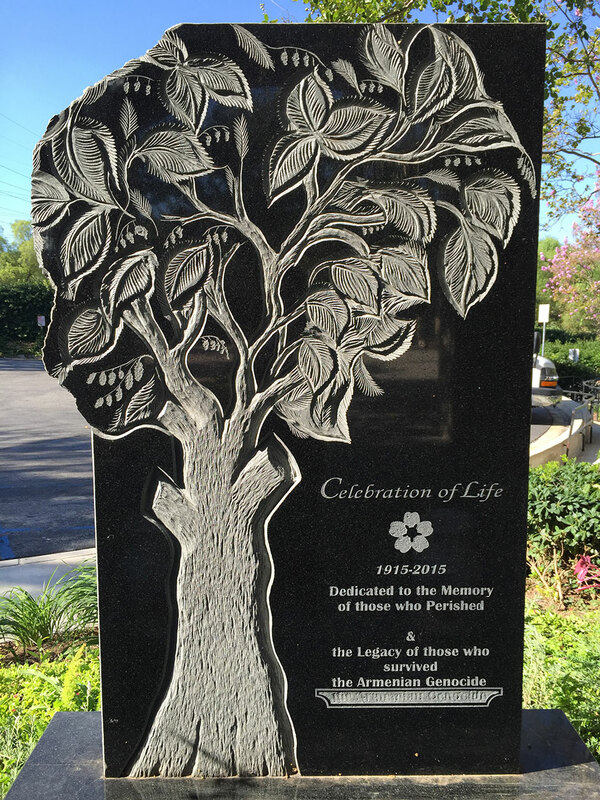 In a symbolic gesture, Ararat Home residents planted a sapling near the monument that will grow and blossom as the Armenian nation has in the last century. 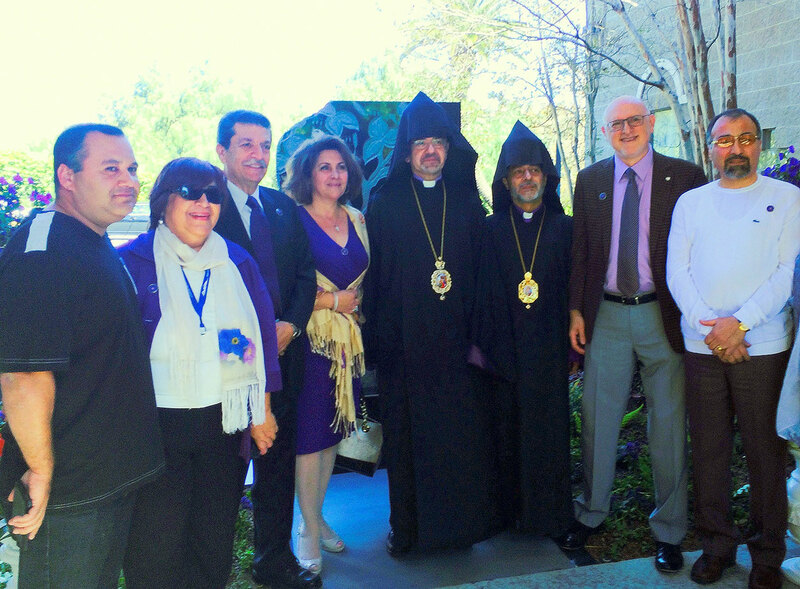 Over 100 guests enjoyed the ethereal music of flute and harp duo, Salpy and Sossy Kerkonian, during the reception following the service.